If my dog had her way, her only meals would be treats throughout the day and the chicken that my wife makes for the family. Getting her to eat regular dry dog food is a challenge and we continue to try different brands that will hopefully excite her as much as the occasional hot dog (maybe frankfurter is the more appropriate choice of words in this case) coming off the barbecue. I know why my dog loves many of the same foods that me and my family love to eat. Because they taste great. But when it comes to her own dry dog food, I really have no clue as to why she might like one or get easily bored with another. It’s pretty difficult to figure out unless you are eating it yourself, something most people rarely do. Sure I entertain my kids a little by occasionally putting a dog biscuit in my mouth just to see their reaction, but I seldom finish the whole thing. 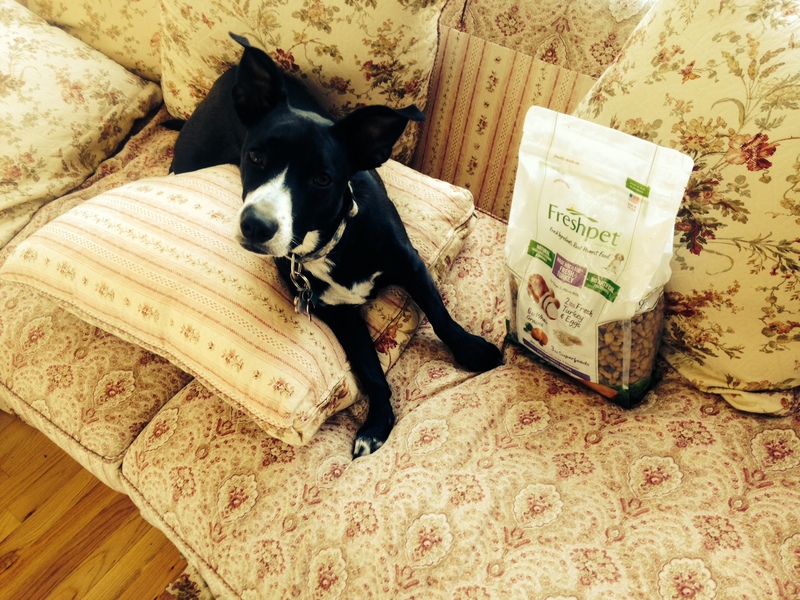 To date, we have still not found a dry food for our dog that she will eat on her own without a little enhancement. Different types of shredded cheese or grated parmesan usually does the trick to coax her into eating everything in the bowl and from time to time, it requires a bit more like pieces of leftover meat from family dinners. When it gets to that point, I know it’s time for a new brand of dog food. As long as we just have to add the cheese, we will continue to stick with the brand which is what we have done recently with Freshpet Fresh Baked. This recently launched brand was kindly sent to our home by the Freshpet team and our dog has been given the opportunity to have it as part of her morning and evening meals for the past couple of weeks. So far the results appear encouraging as she has been finishing mostly everything in the bowl. But again, we still need to add some cheese to get her to eat it. I do like the fact that company is very transparent about what is actually in the food itself with all of the ingredients right on the front of the bag. It is also reassuring to know that it is all natural and made with fresh ingredients, with no artificial or chemical preservatives. Other appealing aspects of the product included the fact that it is 100% fresh chicken or turkey and that it is not processed at all. Interestingly, there are real fruits and veggies mixed in to the bag. I will admit that curiosity got the best of me when I saw that so I actually decided to try a little piece of the chicken and a mixed in sweet potato myself. While I am not not going to make it a dietary staple anytime soon, I will say that I could actually eat the dried fruits and veggies in there if I ever got into a real pinch. But for now, I think I will let my dog have it. FreshPet is currently sold at Target Stores and an 11 pound bag is approximately $30. 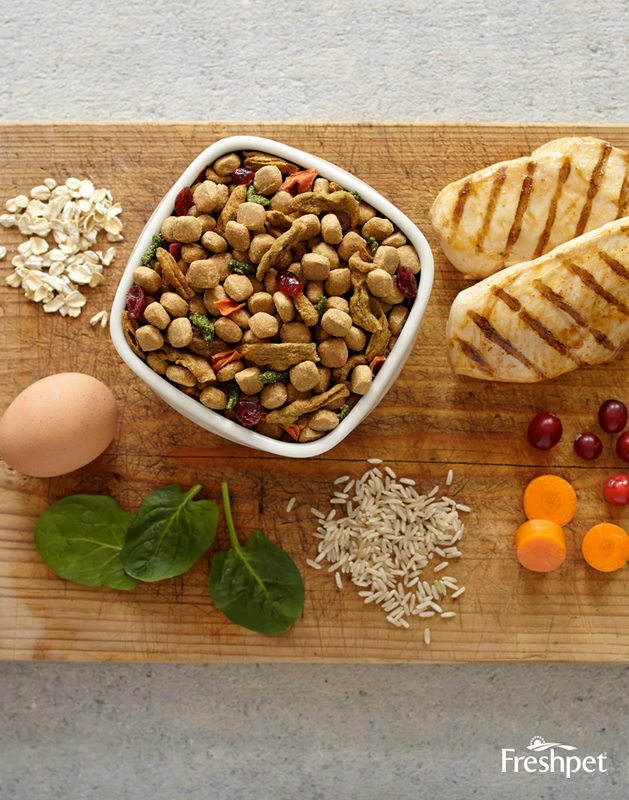 Visit FreshPet.com to find out how you can get your pet on the road to a healthy eating routine. Disclosure: This is a sponsored post. However, all opinions are 100% my own.